Just a simple question, and one on which many hundreds, if not thousands, of books have been written. Simply put, it is a men's fraternal organization, where men of any race or religion can sit together as brothers, determined to improve themselves to the highest levels of morality and integrity. Absolutely not. Each member must have a belief in a Supreme Being, however the actual form of that belief is never discussed, as that is a personal matter - in fact, discussion of religion and politics are forbidden at any Lodge meeting or Masonic gathering. Freemasonry requires of its members a belief in God as part of the obligation of every responsible adult, but advocates no sectarian faith or practice. Freemasonry has no dogma or theology, and welcomes good men of all religions. Without interfering in religious practice, it expects each member to follow his own faith and to place his Duty to God above all other duties. Strictly speaking no, but all members are encouraged to practice charity - both monetary and non-monetary - in all aspects of their lives. The Grand Lodge of Ontario does have a specific charity in the Masonic Higher Education Bursary Fund which is completely funded by donations from members, and is one of the largest such funds in the Province of Ontario. Also, the Masonic Foundation of Ontario is completely supported by the Masons of Ontario as a charitable organization whose emphasis is on the development of, and the assistance to, younger people. Part of an act of charity is the charity towards the recipient by not embarrassing them in publicizing the act, hence, a lot of charity practised by our members, and our Lodges, is a private matter between giver and recipient. The modern system of Masonic governance, the Grand Lodge structure, started in London, England in 1717. Little is known of Lodges in England prior to that time, with only one documented instance in 1646 at Warrington when Elias Ashmole became a member. Written records of Lodges in Scotland go back to 1598, and there are many records from the 17th Century. Before the written records, there is nothing but theories and speculation, which has provided much enjoyment for both Masons and non-Masons in their research of Masonic roots. Ultimately, all explanations are theories, and none have been conclusively proven or disproven. Why are some organizations and people against Freemasonry? Religious groups - who believe that Freemasonry is either a competing religion or the Devil's work, neither of which is true, of course. Conspiracy theorists - the ones who see a plot in every action in life. The Masons are taking over the world - if this were the case, after almost 300 years we still haven't managed. People with a grudge - someone perceives that they have been wronged by a person who was thought to be a Freemason, whether or not it is fact doesn't matter. Unfortunately, perception is truth to the individual whether or not it is factual, which in the vast majority of cases we would hope that it is not. People making money from Freemasons - examples of this are some of the books which are produced (and re-produced) which can only be described as sensational nonsense about the Freemasons, but they do make their authors a living. Freemasonry is a positive force for good in this world, which is a difficult concept for most of our detractors to grasp. To join Freemasonry, you must apply to a Lodge within the area where you live. 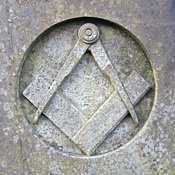 You must have two Masons sign your application - in Masonic terms called a Petition. The expression "To Be One - Ask One" is most accurate. If, however, you do not know any Masons in your area and are interested, contact the Grand Lodge office. If you live outside of Ontario, you can contact a Grand Lodge in your area. The basic qualifications are that you must be a man, of 21 years of age or more (in some jurisdictions, this is less), and be of sound judgment and strict morals. You must have a belief in a Supreme Being. YOUR decision. Make it wisely. Is it expensive to belong? To join Freemasonry, as with most organizations, there is a fee and there are annual fees to continue your membership. These vary with each Lodge and should be discussed with a Mason belonging to the Lodge. Other costs are modest, however it is important that these are discussed with local Masons, to ensure that you have a full picture before making the decision to join. For more information, visit the "About Freemasonry" section of the Grand Lodge of Canada in the Province of Ontario website.